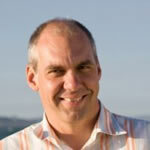 David Hattenbach is a Founders Space Mentor and creative marketing guru. With 20 years of experience creating innovative product solutions and compelling marketing strategies for companies large and small, he is a creative, strategic marketing expert. Prior to becoming an entrepreneur himself, David was EVP Global Strategic Planning Director for Foote Cone & Belding Adverting where he led global marketing and business development. Over the course of his career, David has had the good fortune of working with some of the most creative minds in the industry at agencies such as Chiat/Day, Deutsch, Ground Zero and Foote Cone & Belding. His work has consistently led to novel creative solutions that have earned numerous advertising and marketing awards including several Effie Awards, Clios and a D&AD Black Pencil. He has been a featured speaker at marketing conferences, a contributing author to Venturebeat and ADWEEK Magazine and an instructor at the acclaimed Miami Ad School.